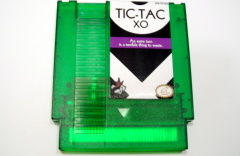 Sly Dog Studios debuts on the Nintendo Entertainment system with Tic-Tac XO! 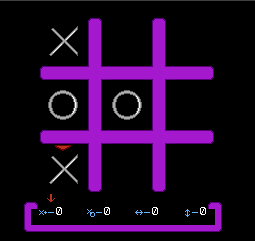 Not being a regular game of tic-tac-toe, you can gain power-ups to up your game and demolish the computer. 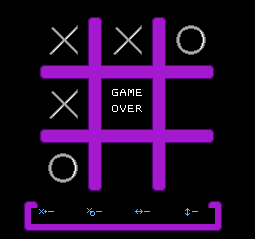 Power-ups include the ability to take an extra turn, change one of the computer's tiles, clear a row, and clear a column. 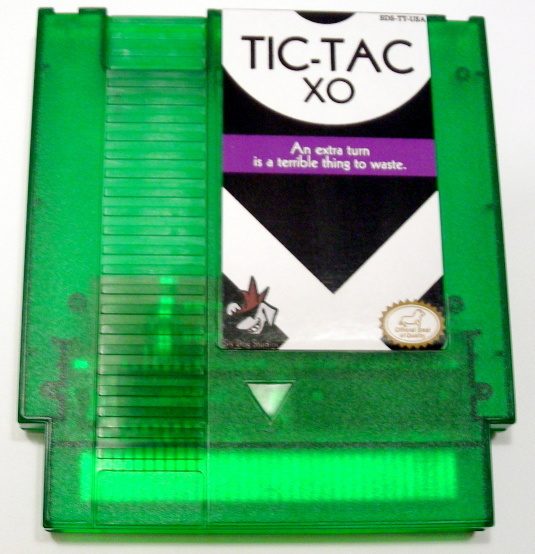 If you have a need to play tic-tac-toe, but need an extra boost in your game, look no further than Tic-Tac XO! 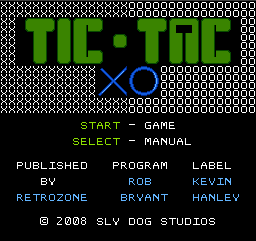 Tic-Tac XO Intro In Game Ticing Tac out!